It’s beginning to feel like Christmas around here! 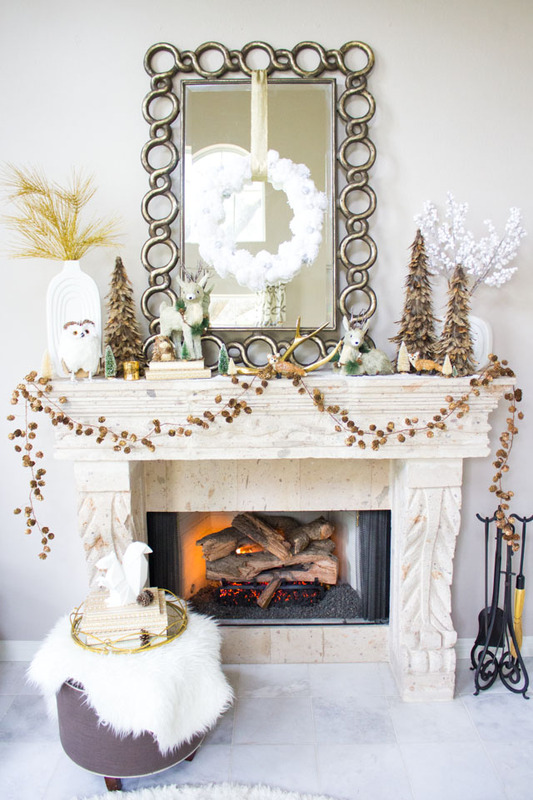 The fireplace mantel is the first thing I love to decorate for the holidays and this year I had the help of At Home stores. 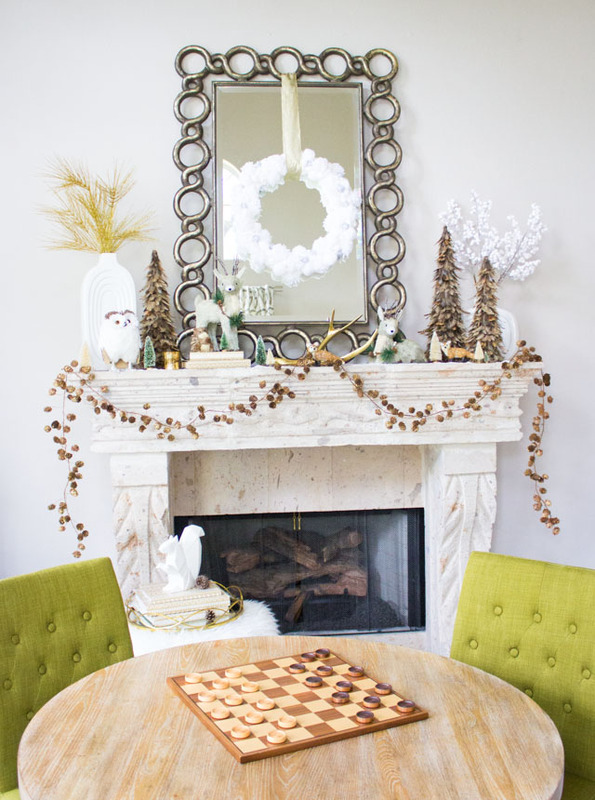 I wanted to create a mantel that would be something I could keep up from Thanksgiving all the way to the New Year. 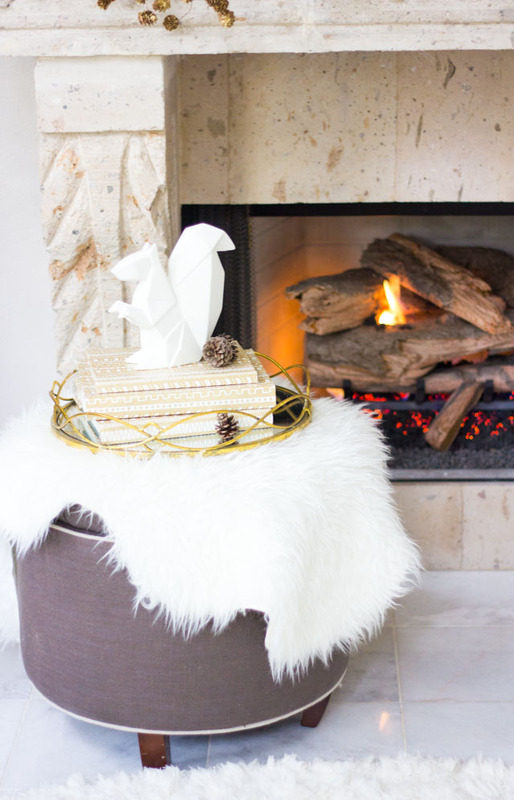 This winter woodland mantel was the perfect cozy touch to our living room, and it was so nice to have our fireplace on for the first time. I’m looking forward to having the fire going again next week as we put up our Christmas tree! 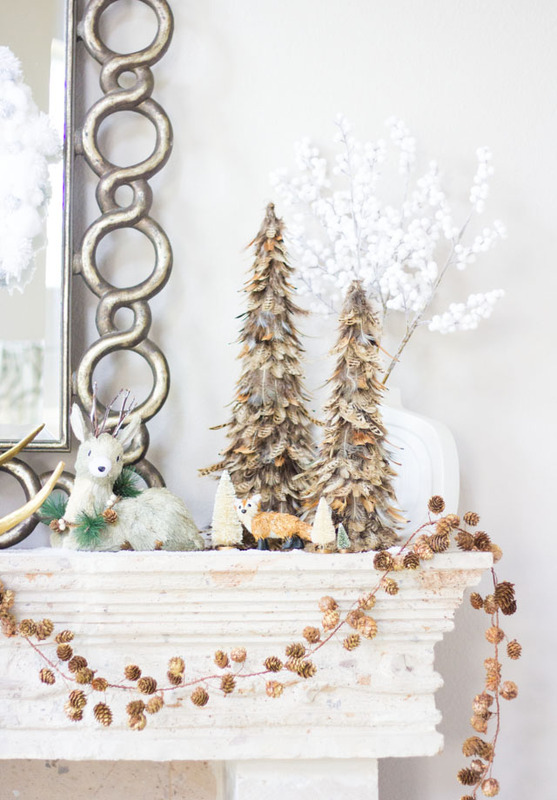 Read on for all the details of this wintery woodland mantel with items from At Home. 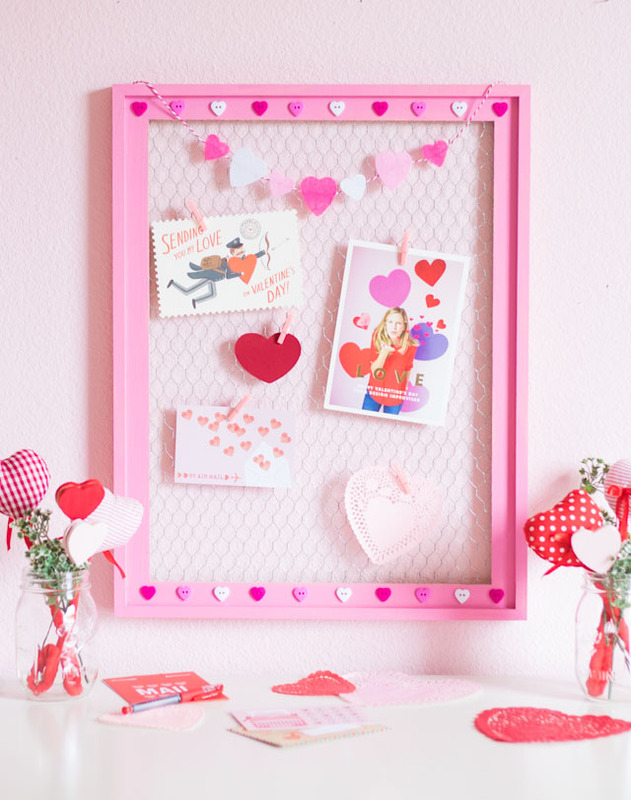 When I was at At Home to look through their Christmas decor collection, I was like a kid at the candy shop. 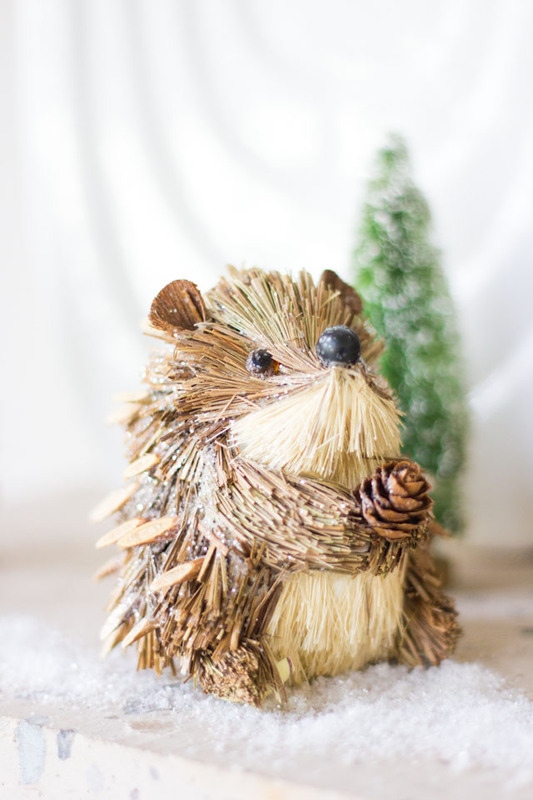 They have aisles upon aisles of Christmas decor arranged by different themes. I couldn’t resist the sweet animals that they had throughout their decor and pulled from several different collections to get this look. 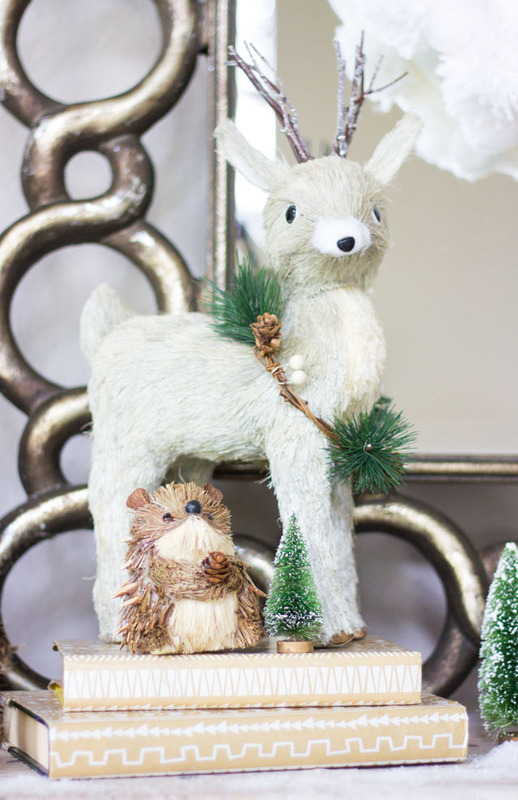 Isn’t this standing deer and mini hedgehog the sweetest? 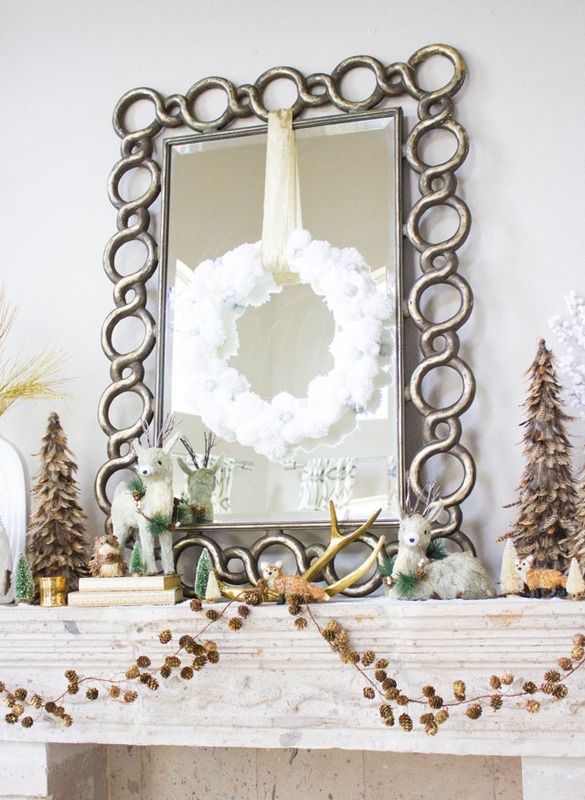 To create the mantel, I started by hanging the pom-pom snowball wreath I made from the big mirror. Then I anchored each side of the mantel with a tall arrangement in these cool modern white vases from At Home. 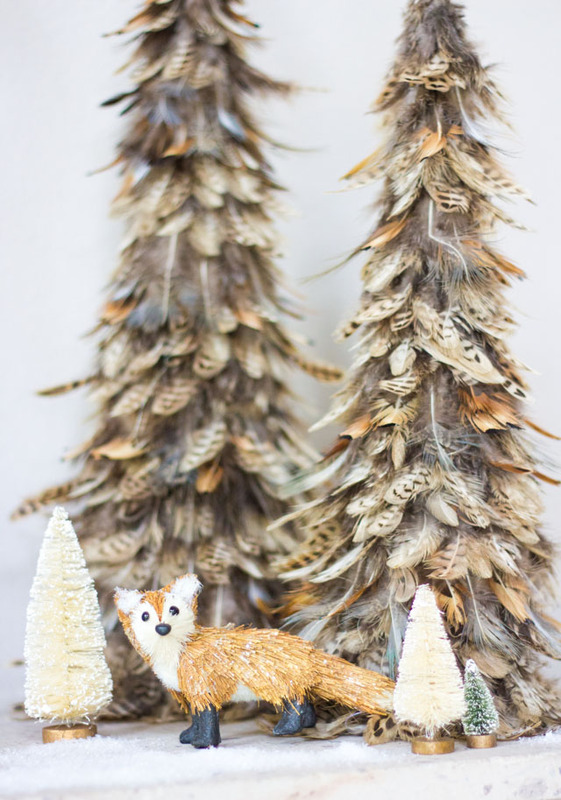 I also incorporated these pheasant feather trees in varying heights and some mini bottlebrush trees. 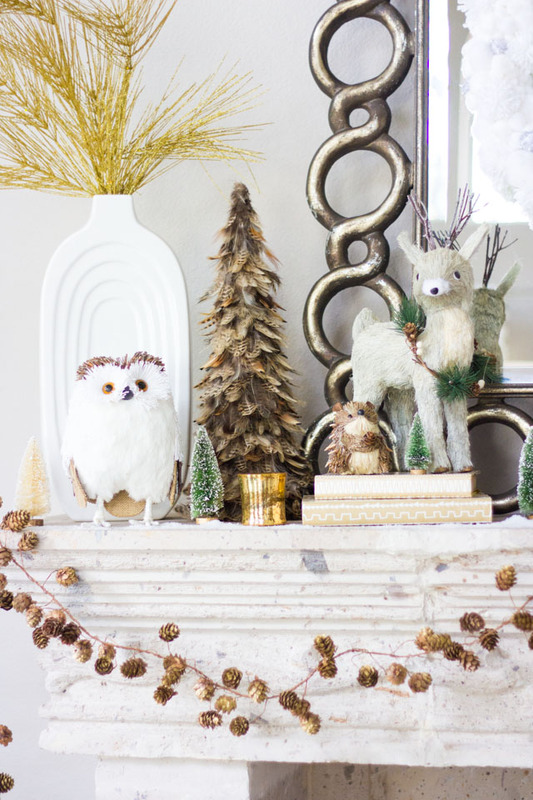 Creating a successful mantel arrangement is all about varying the heights of the objects! 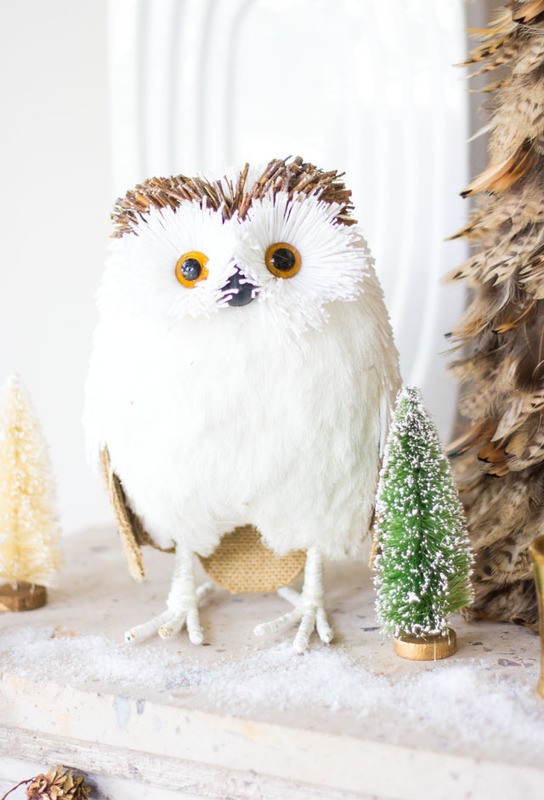 Next I layered in the stars of the mantel – the little woodland animals like this cute white owl! 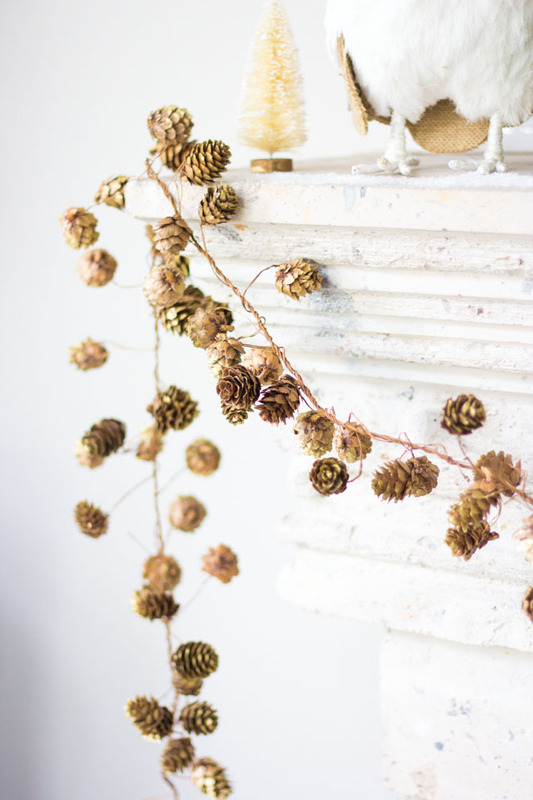 I finished the mantel by draping two of these wired pinecone garlands across the front. 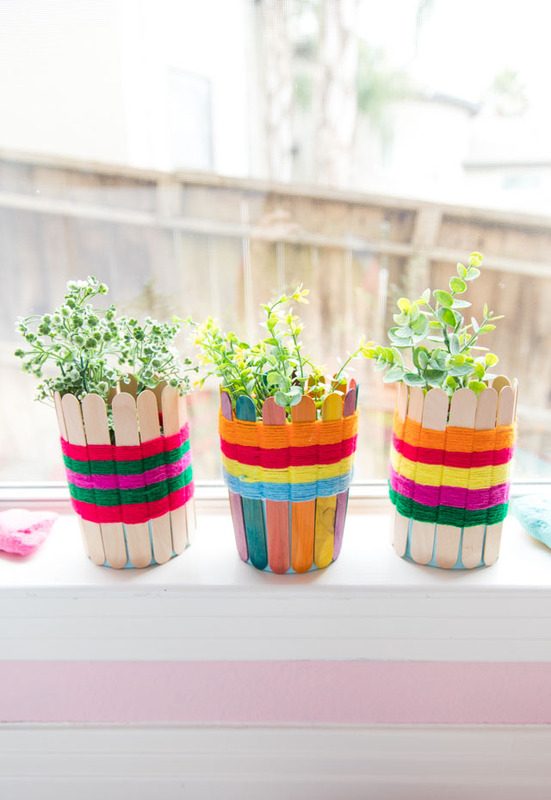 You can make your mantel look extra lush by layering in some decor on the floor in front of the mantel too! 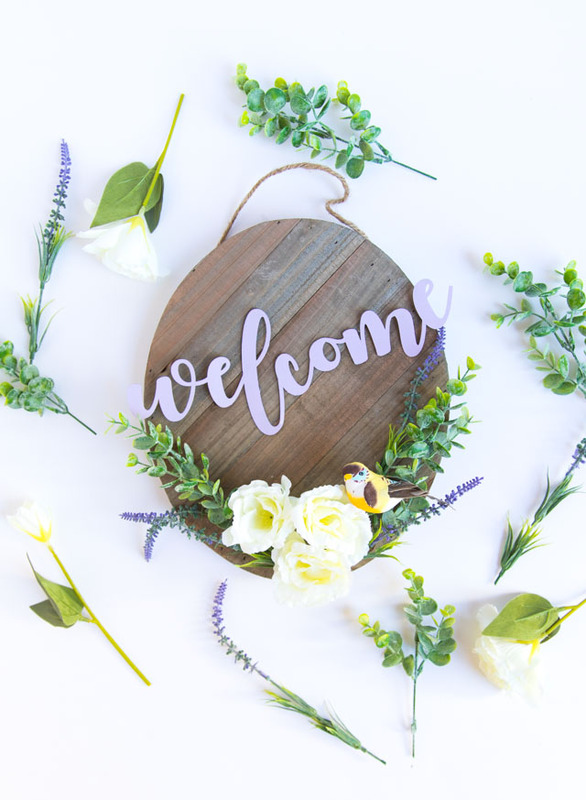 I covered an ottoman with a faux sheep fur rug and then added a tray, some books, and the cutest origami squirrel (you can find these in the non-seasonal accent decor aisle at At Home!). 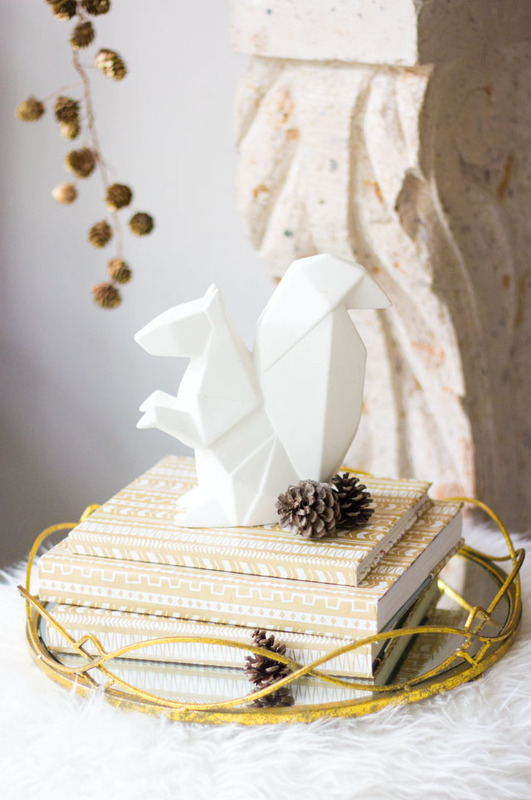 Several of the animals that I incorporated into the mantel were meant to be Christmas tree ornaments like this little fox ornament for only $2.99. I just trimmed off the hanger! 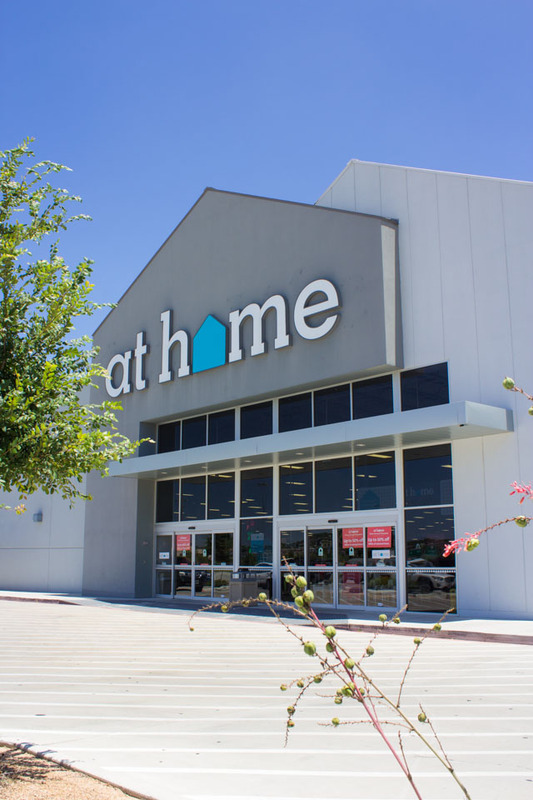 If you’ve never been to an At Home store, now is the time to check them out! 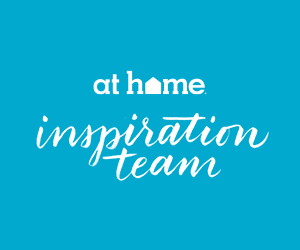 They are filled to the brim with amazing holiday decor in addition to all the regular home decor they carry! 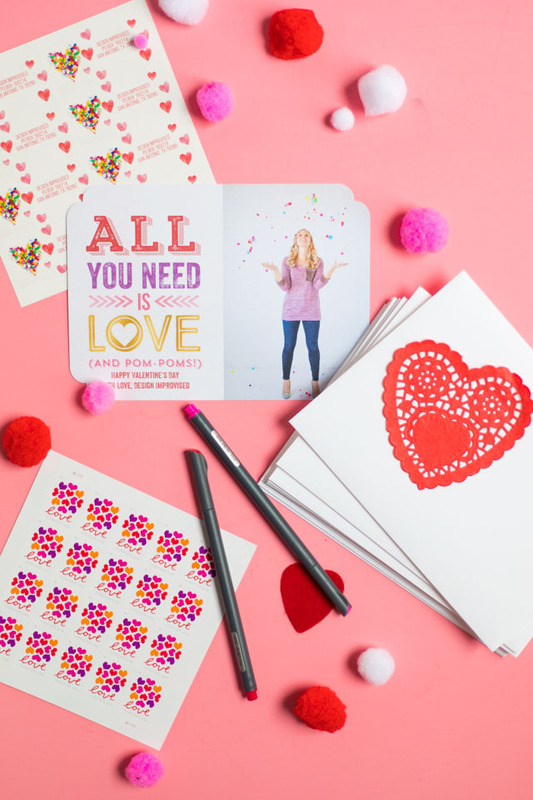 Find a store near you, and I promise you won’t be disappointed!